This fall Bethesda plans to release a Fallout 4 art book. As a preview of the book, they've released four pieces of art from the post-apocalyptic RPG's development. The first image in the batch depicts the series' iconic Power Armor. As we saw in gameplay footage from Fallout 4, these suits of armor will work a lot differently in this game. Previously, Power Armor was just another item you'd equip. You could even carry spares in your bag. However, in Fallout 4, Power Armor is essentially a vehicle you climb into. Because you can't use it constantly, Bethesda was able to boost its strength significantly. You can endure huge amounts of damage or even survive huge falls. 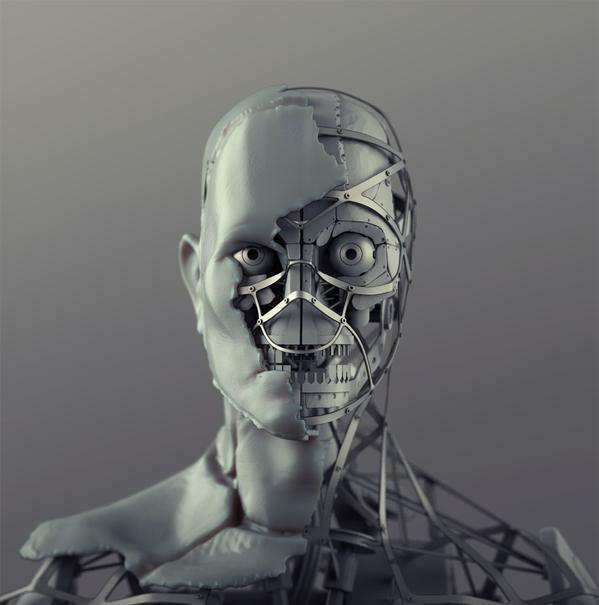 Two other pieces of art show us the life-like exterior and mechanical interior of androids. This human replicants first appeared in a quest line from Fallout 3. They're created by the Institute, an organization based in the Commonwealth. 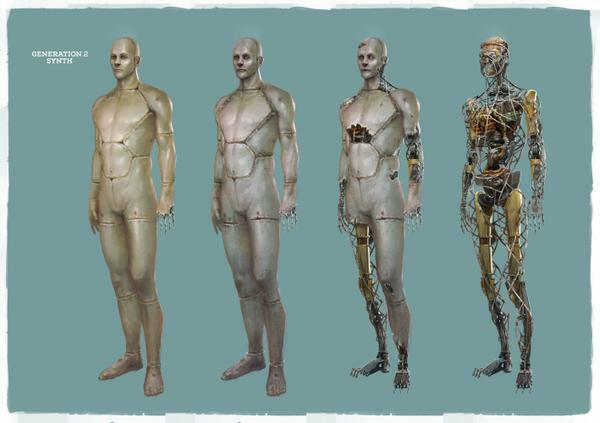 The Commonwealth is the main setting of Fallout 4 so players can expect to see a lot more androids. I imagine players will once again be able to save them from a life of servitude at the Institute. The fourth and final image released by Bethesda is a landscape picture. A rusted ship is docked next to a bridge in equally shabby condition. I'm guessing that ship doesn't sail anymore so it might have been turned into a village, just like Rivet City in Fallout 3. Or maybe Bethesda didn't actually use this concept art's ideas for the game at all. 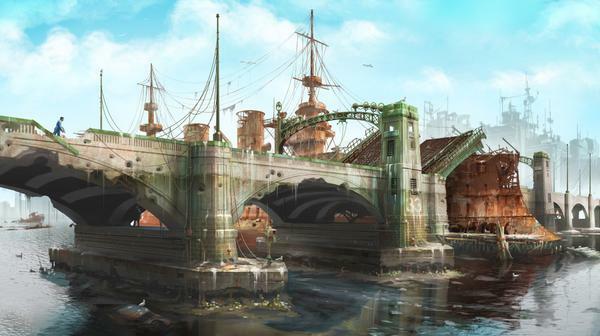 You can check out more art from Fallout 4's development in The Art of Fallout 4. The 180-page book includes "never-before-seen designs and concept art from the game's dynamic environments, iconic characters, detailed weapons, and more -- along with commentary from the developers themselves." There's plenty of material for a book because, as Bethesda said over Twitter, they created twice as many game assets for Fallout 4 than for Skyrim. The Art of Fallout 4 will be released on December 22nd. Fallout 4 will debut worldwide on November 10th.